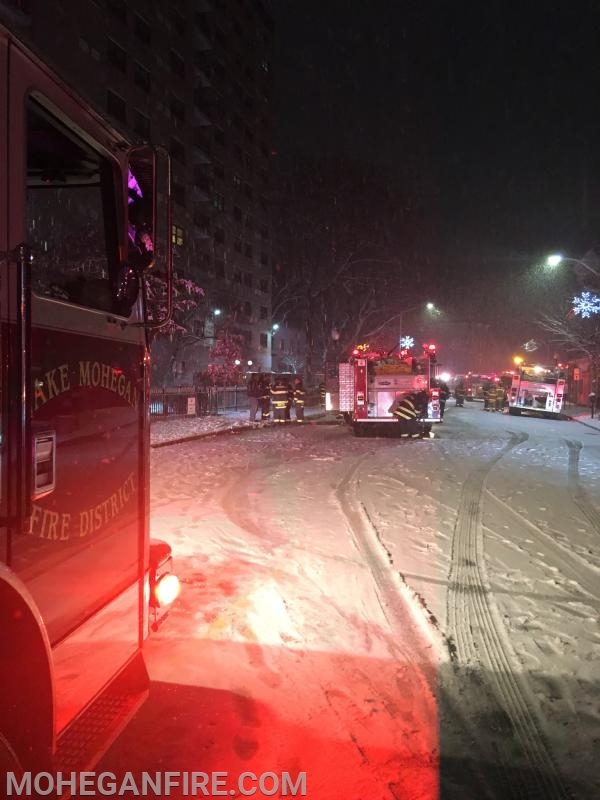 On Sat night 1/19/19 at approximately 10:05pm, at the height of this weekend’s snowstorm, Mohegan FD’s FAS-Team was requested to respond to a confirmed structure fire ina high rise apartment building on South St in the City of Peekskill. 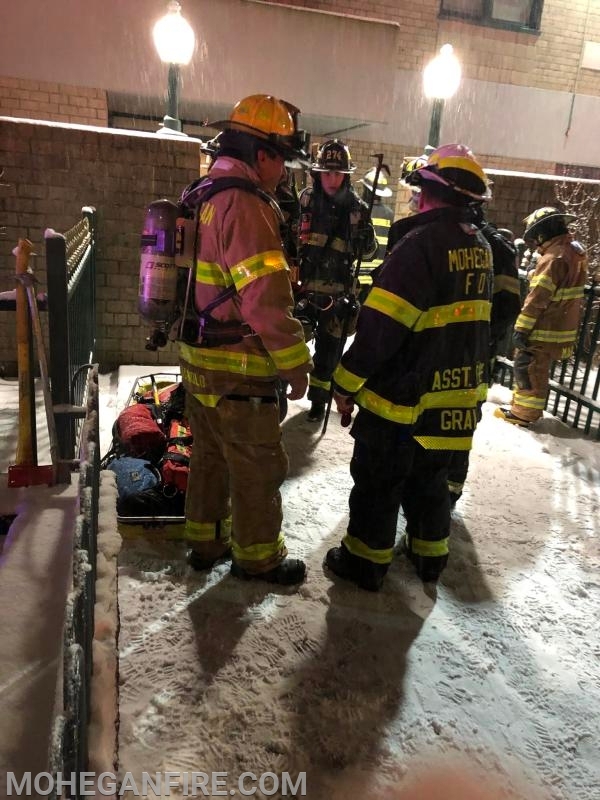 Peekskill Firefighters were on scene with an active apartment fire on the 7th floor, with a smoke condition on the above floors (8th, 9th, 10th, 11th, and 12th floors). 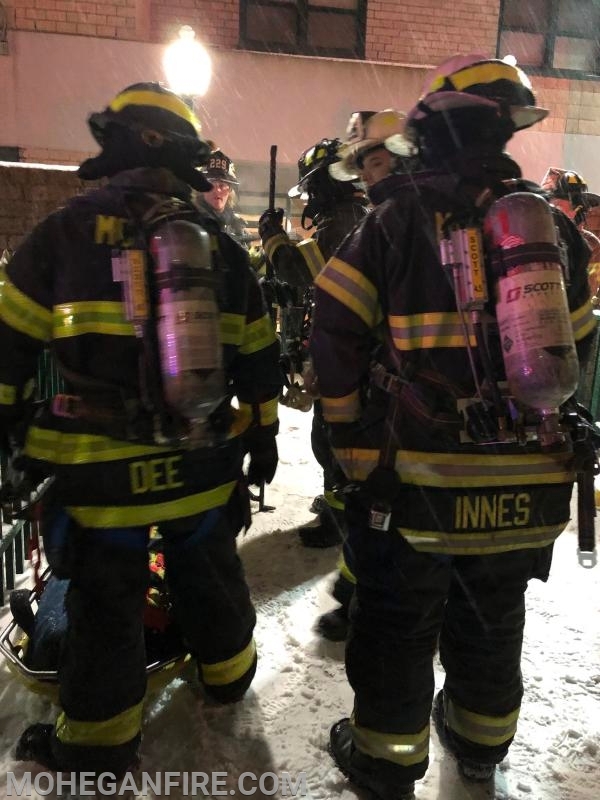 This smoke caused numerous victims to suffer from smoke inhalation causing this scene to become a mass casualty incident for the EMS agencies. 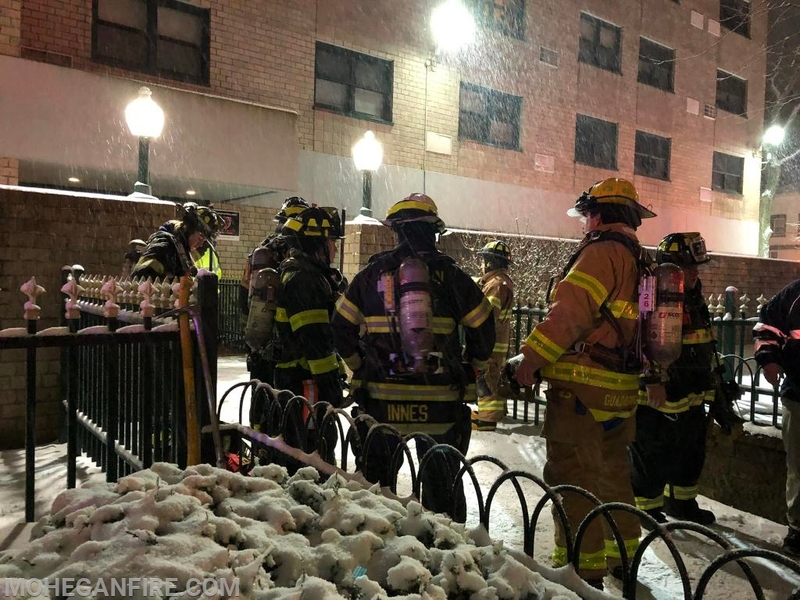 The fire was extinguished quickly using a hose line hooked into the standpipe system. 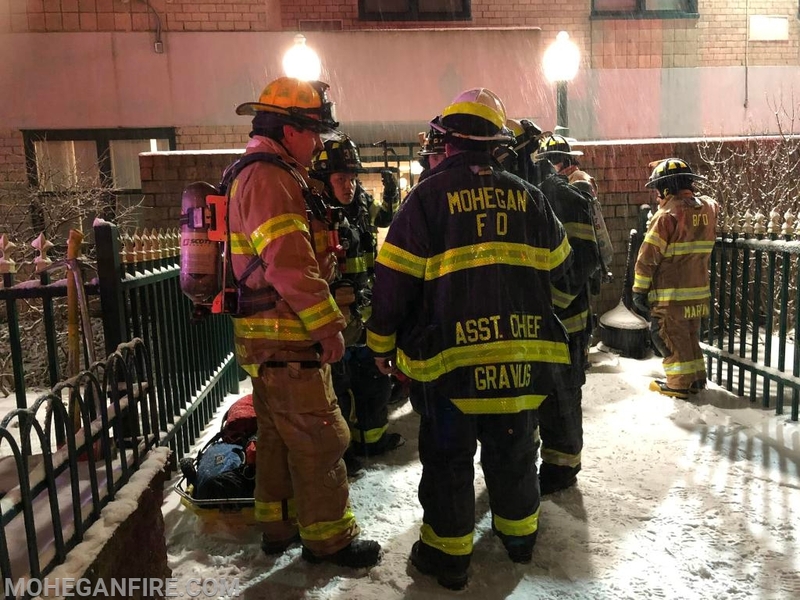 Mohegan FD Car 2263, 2267, 22610, and Engine 257/FAS-Team responded with a total of 8 FAST members and set up in the lobby of the building. 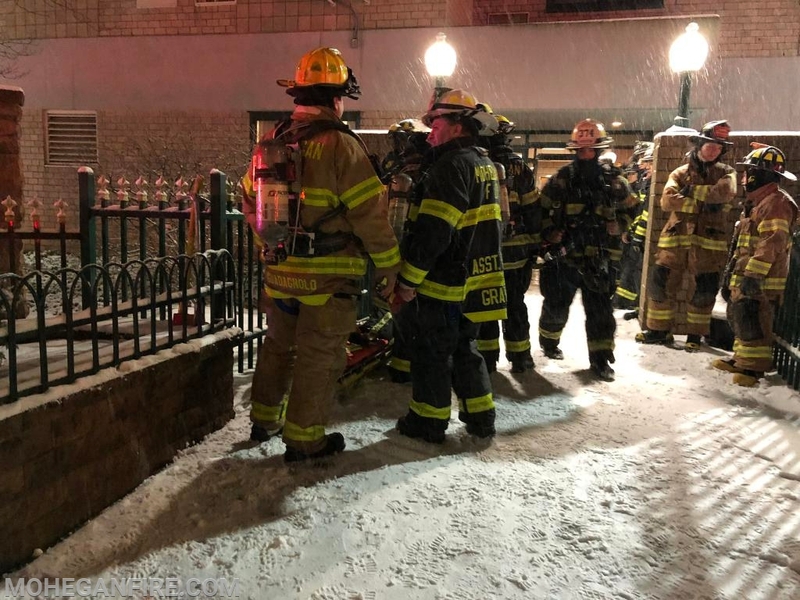 Peekskill FD was assisted on scene by Montrose Fire Dept, Buchanan Eng Co., Montrose VA FD, Peekskill Volunteer Ambulance Corps, Cortlandt Regional Paramedics, Mobile Life Support Services, Cortlandt EMS, and Westchester County Dept of Emergency Services Battalion 10, EMS 11, EMS 12, and Cause and Origin Team. 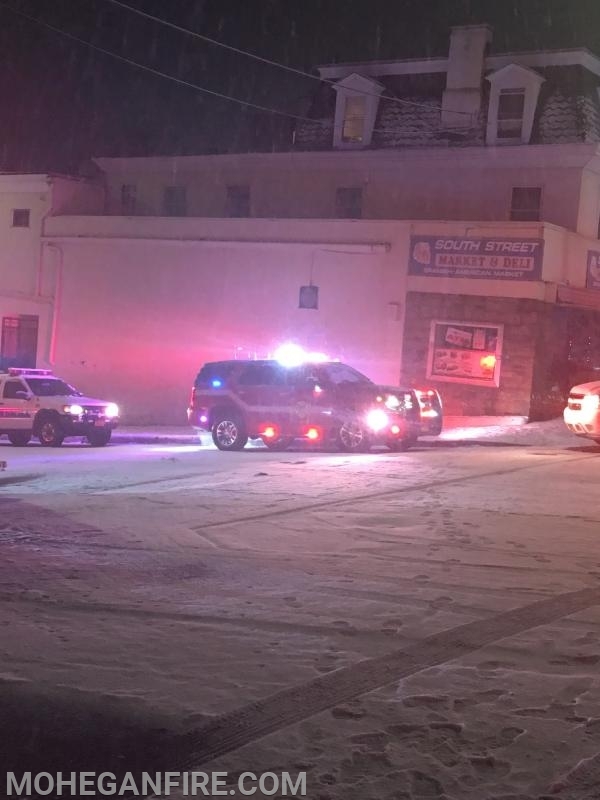 Putnam Valley Volunteer Fire Department and Ossining Fire Department relocated and stood by covering Peekskill FD. 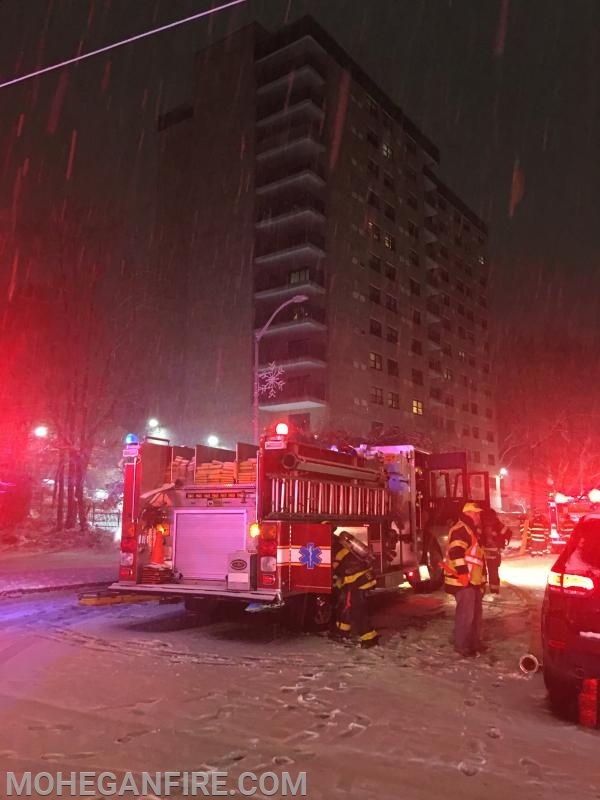 Mohegan FD stoodby and cleared the scene by 11:30pm. 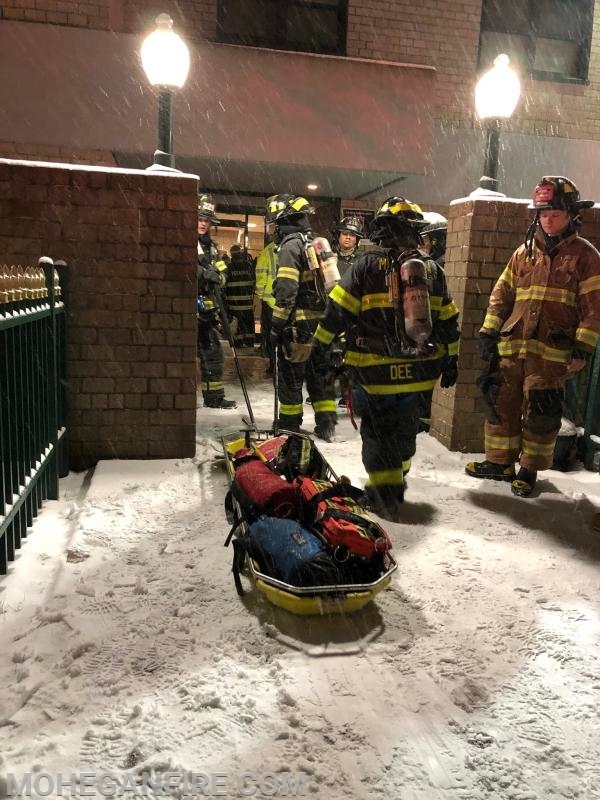 Mohegan FD Car 2265 and approximately 15 other members continued our storm standby at Headquarters on Rt 6 during this FAS-Team response to cover our Fire district during this snowstorm.